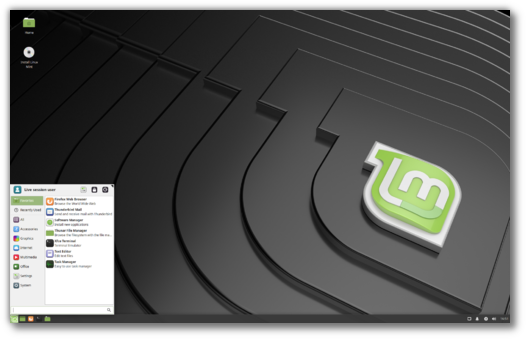 Previous Previous post: Linux Mint 19.1 “Tessa” MATE released! Grande Danke schoen товарищи !!! I love XFCE, thanks, gracias, obrigado, domo arigatou!!! and change the theme and icons! Oh dear, got the image via torrent. Xfce won’t boot – tried disc and USB. Will recheck checksums. MATE seemed Ok, as well as Cinnamon. I confirm, the ISO Xfce does not work (USB and CD). The resulting ISO boots fine. I tried Torrent ISO and HTTP, both do not work (tested on two PCs), except the first test where the installation was interrupted. Request for re-sizable scroll bars id ignored again and again. Why? Merry Christmas. sory for typo: not id ignored, but is ignored. That’s not true. You mentioned it in the BETA, so did CottonEaster at https://github.com/linuxmint/Cinnamon/issues/8143. Workarounds and explanations were given. We can consider making them larger in Mint-Y but they won’t be customizable. That’s not up to the distribution or the desktop environment, that’s up to the toolkit (i.e. GTK). Thanx for your answer, Clem. One more question, why do not make them re-sizable? I know, you guys cannot make everybody happy, but make them changeable will make lots of people more satisfy. BTW it was not only two people (me included) who complained about those scroll bars. If i can remember at least one more guy was talking about those and gave me some solution. It was in previous blog about 19.1 beta. Not everyone have 20/20 vision after 60. I switched from cinnamon to xfce. The only problem I have is that i want to replicate keyboard shortcuts like Super+D to show desktop, however as soon as I press the Super button (and not release it) the whiskermenu shows up. I want it to activate when the the Super key is released. I experience extremely slow repositories download speed . Updates and installation of software are almost imposible. I’ve experienced the same today with the main Ubuntu repositories. You can use Software Sources to point to a mirror. wow! talk about a fast upgrade through update manager!! that was faster than windows can install updated av files, almost. no wonder i dropped windows like a hot potato! glad another person on another forum talked me into switching to mint over lubuntu, which i really liked also. just a few more useful tools in mint. keep up the great work and merry christmas to me for the new os!! External hard drive not accessible! Also I had issues when changing the clock to am/pm but found a way to resolve that. Unfortunately the external hard drive issue I was not able to resolve therefore I had to go with either MATE or Cinamon (worked perfectly for these). Because one of my computers is quite old, Cinamon seems to work a bit slow therefore I settled for MATE. I hope these issues would be resolved soon, Cinamon is really nice but too heavy for one of my computers & I don’t really like the look of MATE. This is Xfce 19 “Tara” – Release, will now check 19.1 “Tessa” to see if fixed. I guess I need to wait until these problems are resolved until I can go back to Xfce as I can not access my external hard drive which is essential to me. Again, the hard drive can be accessed no problem with cinamon & mate. Also the issue with the clock is quite annoying as well. I remember using Xfce 17 which was bullet proof, worked AMAZING, maybe I should go back to that? Tried Xfce 19.1, 18.3 & 17.3 and neither one of them can access my external hard drive. Mate & Cinamon can but Xfce can not. Ok.. Or i’m too noob(or i rlly dont know english) or i can’t see a way to upgrade my Mint 19 XFCE to Mint 19.1 without make a full install from the zero. I don’t have BETA version installed on my PC, how can i upgrade ? The option to Upgrade the version dont appears on the Update Manager. Just upgraded from LM 19.0 64-bit xfce to 19.1 – the process went without a hitch. One minor annoyance is that in program window title-bars, when the window is maximised, the program icon (at the far left of the title-bar) is too far to the left (by around 4 or 5 pixels?) and appears right at the edge of the window. I can’t attach an image to illustrate my point, so I might post a messgae to the main forum post, that links to this blog. Hey, It is Dec 27, 2018. Has the 19.1 version download been fixed? I want ti install it today if possible. Also, I installed Windows 10 on my Dual-Boot (Win8.1 & LM17) now the grub will not show up. When I install LM19.1, will it find the last LM partition? I downloaded version 19.1 on 25 December and installed it yesterday without any problems. I don’t know what fix you are waiting for. If you are afraid that the installer doesn’t find your old LM17 installation you can choose the partition manually in the installer. That’s what I always do. Fresh install of Mint 19 Xfce and upgraded to 19.1. I checked “Reverse scroll direction” (aka “natural scrolling”) for my Synaptic TouchPad. It works in Firefox, but NOT in Terminal, Software Manager, xed, Xreader, Logs, and a slew of other apps. What gives? First uncheck the “natural scrolling” box. Go to the terminal and type synclient. Find the “VertScrollDelta” value, in my case it was 110. Add a dash/minus sign to it so it is, e.g. -110 and type synclient VertScrollDelta -110 [this is my value, insert yours]. Close and reopen the applications you were using and check if that works. If it works, go to Session and Startup and add the synclient VertScrollDelta -110 [or whatever value you have] command to startup applications. Correct command is synclient VertScrollDelta=-[number] (no spaces). By the way, after testing and using a number of distros and DEs lately, I found Mint Xfce 19.1 to be overall a very stable, reliable, rock-solid and lightning fast system, which demonstrates a great attention to details, especially with regard to additional in-house tools and known issues and quirks carried by vanilla Xfce. I feel this is going to be my distribution of choice for quite a while! Thank you for your meticulous work, keep it up! And happy new year to everyone. P. S. : although eventually uneffective on MATE, adding “ec_sys” to /etc/modules fixed my issue with battery monitoring on Mint Xfce. I’m having issues running kate and krusader on Linux Mint XFCE. Both programs have missing icons. For buttons which also have text this isn’t a big problem but for buttons without text (for example in the search and replace dialog of kate) it is a problem. I have installed the packages mentioned under “Issues with KDE apps” in the release notes but the issue doesn’t go away. I vaguely remember having the same issue under Mint 18 and solving it eventually but I cannot find the fix anymore. Note: This is a clean install of Mint 19.1 XFCE 64bit, but reusing my existing home directory from Mint 18.3. Apparently, because I reused my existing home directory I was missing some configuration files under ~/.config/qt5ct/ that would have been created automatically if I had created a new user. Calling qt5ct from the terminal created the missing configuration files. 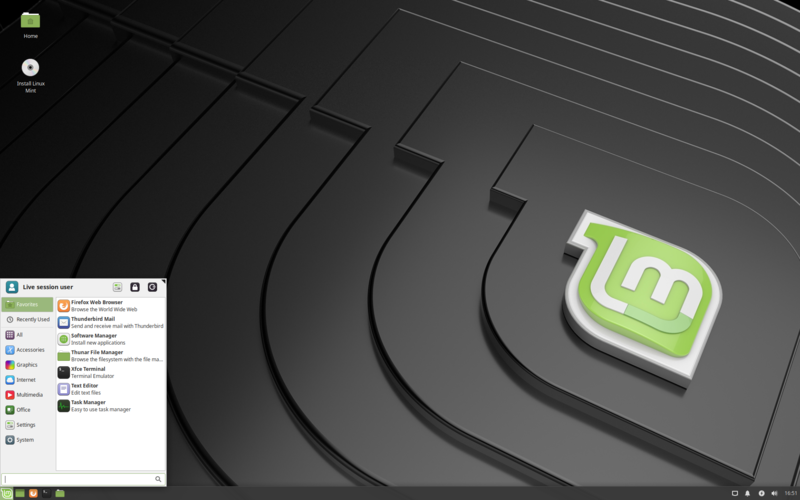 Wow, I love Linux Mint 19.1 XFCE. I came from Linux Mint 18.3 Cinnamon, but XFCE is my best experience ever. Thank you so much ! I was surprising to find that Linux Mint v19.1 Xfce 32bit works quite well on a ancient computer I have from 2001 which has a 1.2Ghz Athlon CPU along with 1GB of RAM (I did the ‘swappiness=10’ tweak to, to cut back on swap usage) as I could have sworn not all that long ago web browsers started requiring SSE2 CPU instructions but this CPU only has SSE and the Firefox v64.0 actually loads up and does work even though it lags quite a bit as you can see CPU usage is taxed quite a bit in a browser as things lag but all I really needed this computer to do is function as a backup to my main PC in case my main PC goes down I can order parts online for it and in that regard it’s passable. but that was nice to find because very recently my HP DV5-1002nr laptop (which was my backup to my main computer) died (i.e. no display and flashing lights on keyboard which basically means hardware is shot) so I just removed the Intel 545s 128GB SSD from it and will likely use it on my main PC for additional storage. Subject: BUG in StartMenu(XFCE as well as Mate 64bit version of LM19.1), that makes it unresponsive at sides and corners. You can reproduce this bug easily. Did I get this right? No support for LUKS during installation anymore? How to protect password, keys on devices like laptop / notebooks without having strong encryption protection in case of theft?